Nice one, Adam! 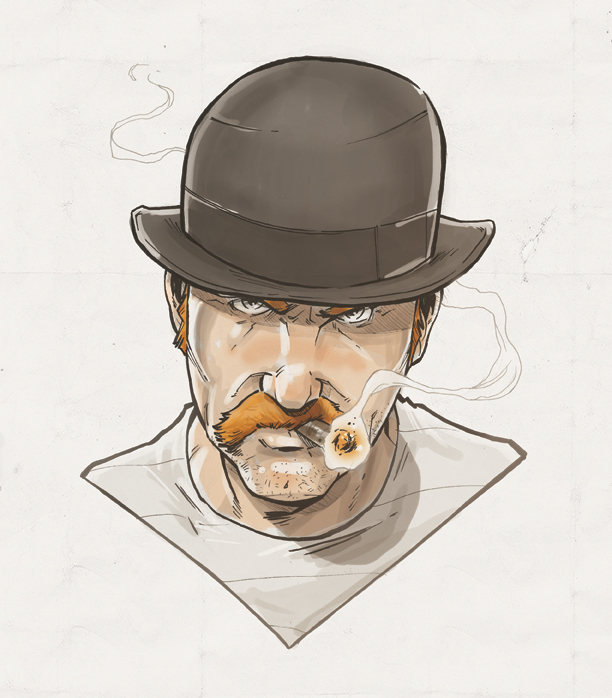 We really ought to have a Bowler Hat month, too, haha. That turned out great Adam! Intergalactic Info: Who we are. Welcome to PLANET-PULP.COM We are an Intergalactic Online gallery on a mission to orbit a pulp-culture theme every 30 days. Here you will discover a collection of talented rogues bound together by sheer awesomeness, illustrating and designing monthly themes as we celebrate our shared love of Pulp Culture! © 2012 Planet-Pulp. All rights reserved. All licensed material property of it's respected owners.. Simple theme. Powered by Blogger.